Amazing Kid! of the Month December 2010 – T-REP! 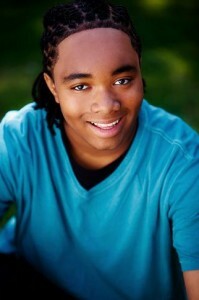 -T-REP, 14 years old, Amazing Young musician, actor, and role model! From first glance 14 year old Tony’s name seems very ordinary. But since the age of 9, he has gone by Tony-Representing Everything Positive (T-REP) the Young Prayzr! Now his name says it all. Already T-REP is building up a strong music and acting career. He is CEO of his own business and has his own ministry. That’s not all though. In only four short years T-REP has become an award winning national recording artist, actor, TV show host, and model, and much more! T-REP, age 14, Amazing young musician, actor, and much more! T-REP knows just how to chase after his dreams, and we couldn’t be any more excited to name him our December Amazing Kid! of the Month. His talent, creativity, and leadership are something that is very admirable. T-REP has a lot to say. And this is just the beginning! T-REP’s Music, Acting, and much more! When Tony first started in the music industry he was only 9 years old and went by the name Young Paryzr. “I came up with that name because I’m young, I like to pray, and I like to praise God.” However once Tony started getting calls to perform at schools he decided to make the name move universal. That’s where T-REP (Tony-Representing Everything Positive, came in). Now his full name stage name is T-REP The Young Prayzr! Since his first hit song, “Hittin’ Dem Streets”, a song about taking authority and making a difference, T-REP’s young career has taken off. To date he has had over 400 performances. Out of these he has been featured artist on Ambassador Dr. Bobby Jones’ Gospel Presents Televised Artist Showcase, the 2007 Gospel Choice Awards, The 2007 & 2008 Holy Hip Hop Awards, The 2008 Youth Gospel Entertainment Awards, and many more. The list just doesn’t stop there though. Besides music, T-REP also immerses himself in acting! Some of his notable appearances include being on Cartoon Network’s “Cartoon Fridays” and being in countless stage plays such as “Speak, I’m Listening”. T-REP the Young Prayzr is even an entrepreneur. He is CEO of his company DJ T-REPz Muzik Faktory Mobile DJ Company. In a world where music is starting to get more risky, T-REP still only spins clean and positive music! He also has his own youth organization called Young Prayzr Ministries and he is CEO of Yungsta Grind Entertainment International! T-REP’s promotional banner for his business DJ T-REPz Muzik Faktory Mobile DJ Company. With only 4 years of experience, T-REP has done it all. We can’t wait to see what he does next! With extensive time put into music, acting, school and other activities T-REP even makes time for community service. He started volunteering at the young age of 10 years old! Some of the events he has helped at are Hosea Feed The Homeless and Hungry Thanksgiving Dinner; Hosea Williams’ Children’s Christmas Celebration; Celebration of Life For Atlanta’s Missing and Murdered Children; Clayton County Boys To Men Mentorship Program, and more. T-REP’s service doesn’t stop there though. He is even certified by the King Center and Emory University to train peers in Dr. King’s philosophy of nonviolence and how to use the techniques of nonviolent conflict reconciliation! 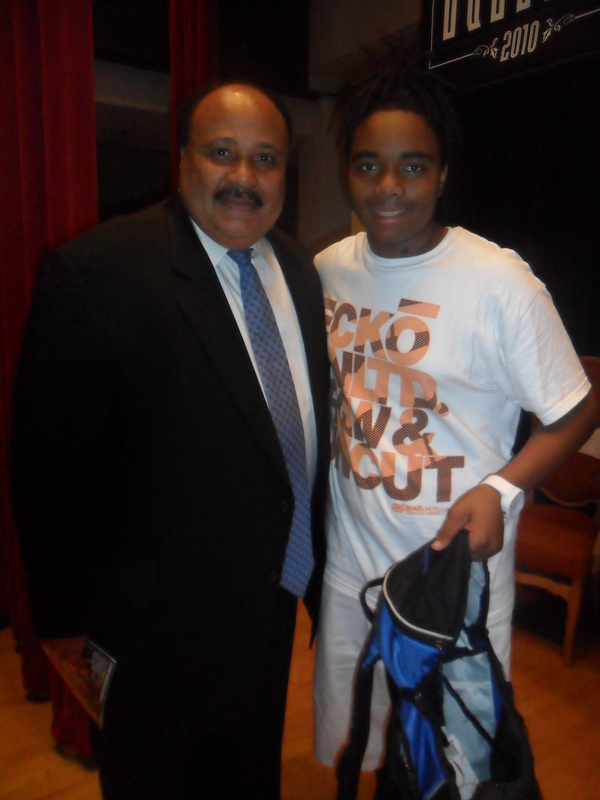 “Last summer I was chosen to receive a full scholarship to attend The Martin Luther King, Jr. Youth Nonviolence Training Program at the King Center.” He’s even been asked to be a youth ambassador to attend a trip to Africa with the King Center! T-REP with Martin Luther King, III after receiving his Martin Luther King, Jr. Youth NonViolence Trainer Certification from The King Center & Emory University. Advice in reaching your dreams! To help him reach for his dreams, T-REP surrounds himself with positive people. His biggest supporter and mentor is his mother. Since he was only 9 years old she has been his manager, booking agent, publicist, webmaster, instructor, and counselor. “She has encouraged me to always follow my dreams, to never quit, to work hard and to always do my best,” T-REP says. Besides his mother, T-REP always credits his pastor for helping him get to where he is today. “He inspired me to take authority of my life, to not just sit down and do nothing with my life, but to do something distinctive and positive to make a difference and to reach my generation. Even with such a professional and positive career already in place, T-REP plans on an even greater future! “Personally, I plan to do my part in helping to (make a) difference in the world, by continuing to show that you can be successful by being positive and not compromising your integrity to reach success or fit in”. Whatever the future holds for T-REP The Young Prayzr we have confidence that he will continue to set big dreams for himself and accomplish them! Some of T-REP the Young Prayzr’s Accomplishments! 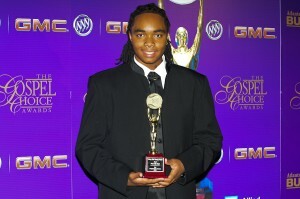 T-REP holding his "Gospel Choice Award" trophy. 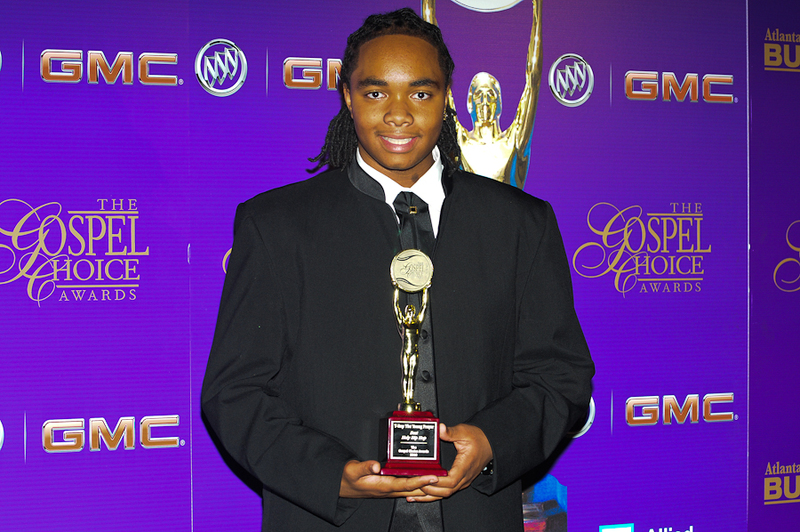 He is 3-time nominee and the youngest nominee and winner in the events' 16 yr history. Connect with T-REP the Young Prayzr!